Jenna was born in Vancouver and brings her infectious smile and energy to all of her performances. Currently part of the Lindbjerg Academy of Fine Arts in Coquitlam, Jenna has just finished her fourth year. Her progress and development and love for the arts is evident as she has enjoyed all the varieties of singing, dance, and her musical theater experiences. 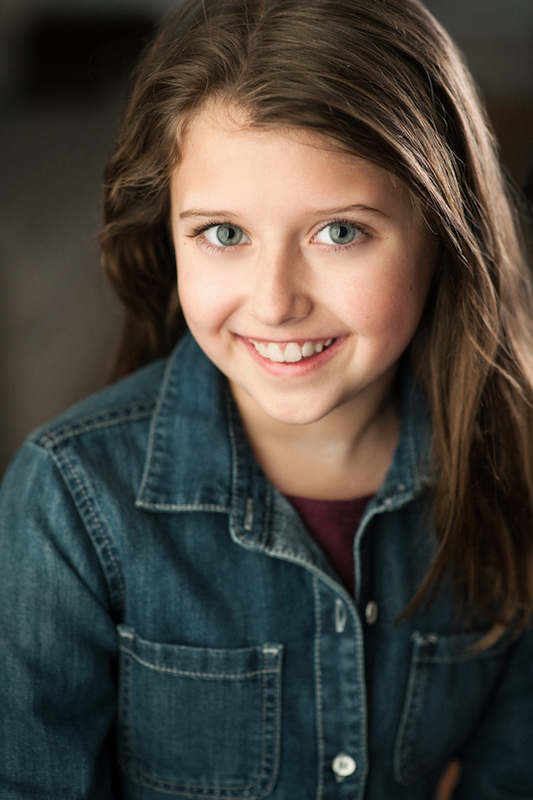 Jenna has had roles in Annie and she has roared as the cowardly Lion in Wizard of Oz, Alice in Wonderland and proved that no challenge was too big as she worked extremely hard mastering her lines. Last year, Gloria in ‘Madagascar’, proved that even a sarcastic pink Hippo could find their way home to freedom. Christmas 2017 found Jenna as Tiny Tim in director Rachel Peake’s Interpretation of ‘A Christmas Carol’, Jenna’s first Gateway Theater production. Jenna’s most recent test was ‘Cinderella’, TUTS 2018 summer production. Involved in both the shows ensemble and playing one of the mice that magically changed into the horses that took Cinderella to the romantic Ball. This amazing production was directed by Sarah Rodgers and the entire experience gave Jenna a different perceptive of the challenges of performing both outdoor and for enthusiast audiences. Jenna also has a passion for the vocal side of things and has competed at the International Kiwanis, singing “Johnny one note” and “Over the rainbow”. In this she achieved the “8 Years & Under Outstanding Performance Medallions” award and “Promising Junior Voice Student – 11 Years & Under” award in 2016/2017. When not at Lindbjerg Academy, Jenna loves school, skating, playing golf, and hanging out with her friends. Jenna also speaks French, Romanian, and loves playing with different Eastern European accents. She plays guitar, basic piano, and loves her dog Max.